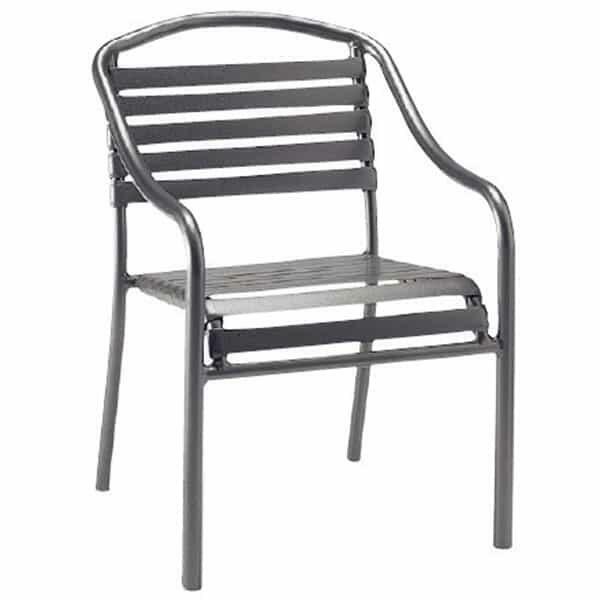 The Baja Strap Dining Collection from Woodard offers the contemporary beach furniture look popular around swimming pools at hotels and resorts across the United States. High-grade aluminum is used to frame relaxing and restful vinyl strapping that is easy when sitting and soft to the touch. Not only is strap seating popular due to its cozy nature but it dries quickly after getting hit with the rain or wet swimsuits. 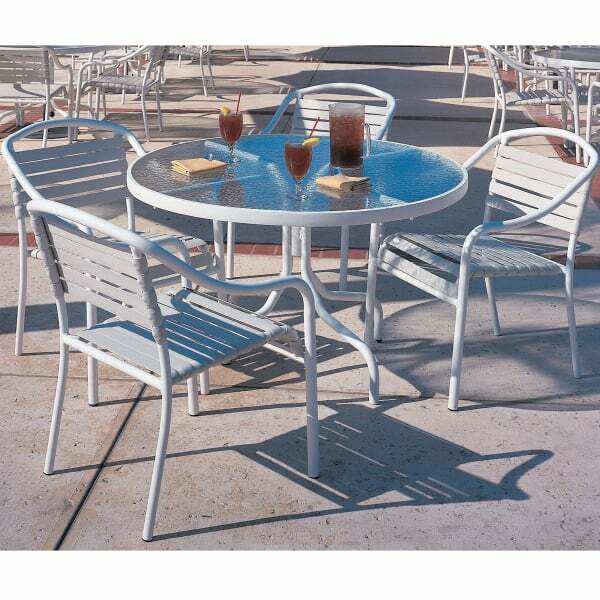 This quick-drying nature makes the Baja Strap Dining ideal for placement near your swimming pool or on a deck overlooking an ocean or lake; guests will love to sit back and relax, while you will love the low maintenance of the stackable chairs and round table found in this patio furniture collection. W 23" x D 26" x H 32.5" SEAT HEIGHT 17.3"